Home > Blog > Ask the Doctor: What do I need to know about infections? Ask the Doctor: What do I need to know about infections? When people hear the word “infection”, they might think of Ebola or HIV. However, these are two extreme examples. Infections cause a far broader range of afflictions and can refer to anything from a simple rash on your arm to a deadly case of the flu. Diana Pressey spoke with Dr. Dan Phillips, co-founder of MedAccess, to learn all about infections and how they’re classified. Diana Pressey: First of all, what are the different types of infections? Dr. Dan Phillips: Well, the three primarily are viral, bacterial and fungal. Viruses are what we see all the time – the common cold, the flu, cold sores on your lips, the herpes viruses – those are great examples of viruses that we see everyday. Obviously, there are more exotic ones that you find in some of the third-world countries and insect-borne stuff, but (those are) the basic ones we see everyday. Bacterial infections are caused by bacteria. 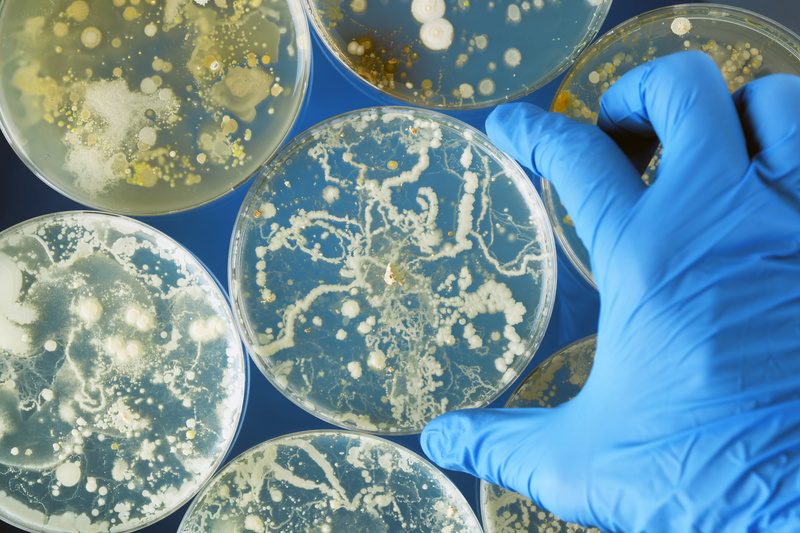 Bacteria are smart — they evolve over time — so that’s what we treat with antibiotics, and over time, bacteria become resistant to those antibiotics. So that would include things like skin infections — the MRSA that we see so much of — some pneumonias, urinary tract infections, many many times E. Coli, which evolves very quickly. So those are examples of bacterial infections … Common (fungal infections) are athlete’s foot, some skin rashes, things like that. Obviously there are more serious infections in all those categories, but those are the most common. Pressey: Aside from ear infections, which infections do you tend to see the most often at MedAccess? Phillips: We see a ton of viral infections — in fact, the vast majority that we see is viral. A lot of it gets treated with antibiotics, because we all use too many antibiotics, and patients expect them, and many times, we’re unsure. But the vast majority that we see are viral, particularly having just come off flu season. That would be followed by strep throat, which is a bacterial infection. We see a ton of strep — it runs through schools and households. And then we see a lot of bacterial skin infections. Pressey: How are these infections treated? Phillips: Viral infections … run their course over 5 to 7 days. We do have an antiviral drug for the flu; those medicine work by stopping viral replications in most cases. Bacterial infections are treated with antibiotics, which basically destroy, in the short term, the bacteria by different means. Many of the mild fungal infections are treated with topical antifungal creams. Pressey: Is there any way to prevent them? Phillips: In the case of the viral or fungal skin infections, a lot of times it’s heat-related, moist areas — just keeping those dry. Bacterial infections such as strep are spread by direct contact. That’s the usual preventative measures. Viral infections – flu is probably the most contagious virus that we know the common causes, and it’s spread by coughing and sneezing, so really, that’s just staying away from people with the illness, staying out confined places where someone is sick. And then we see a lot of executives who travel on airplanes who get on airplanes with 150 people — someone’s got the flu, a bunch of people around them are going to get it … You just have to avoid it. Pressey: Lastly, how often do you see chronic infections, and what’s the best way to deal with or prevent them? Phillips: The most common things will be recurrent sinus infections, which, many times, antibiotics just don’t work on, and it’s managed with steroids and symptomatic treatment. Chronic or recurrent urinary tract infections become problematic, and you go looking for another cause of them that can be fixed, and some people end up on daily chronic antibiotic therapy for those to suppress them. Chronic infection is not something we deal with a lot in the urgent care center; those are typically sent to specialists like EMT or urology or whoever can go looking for the source and fix what is ultimately causing them.